Beyonce and Jay Z finished the vegan challenge. 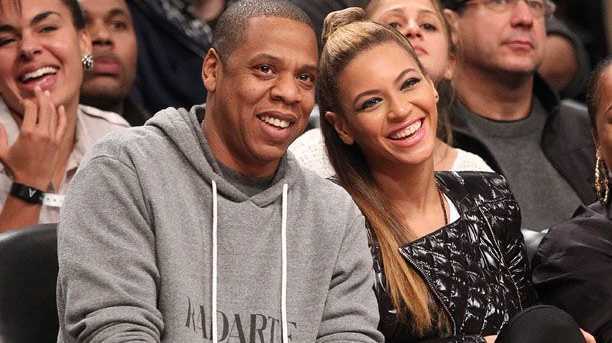 JAY Z and Beyonce enjoyed a seafood feast this weekend, after ending their 22-day challenge to eat only vegan foods. The rapper and his wife undertook a 22-day challenge to eliminate all animal products from their diet earlier this month, and following its success they are back to eating meat, dining at Miami restaurant Seasalt and Pepper over the weekend. According to the New York Post newspaper, the restaurant's chef, Alfredo Alvarez, arrived at the couple's table personally to take their order and they dined on pappardelle, lobster ­risotto and seafood casserole. Yesterday (30.12.13) the couple and their 11-month-old daughter, Blue Ivy, were photographed leaving another non-vegan hotspot, Joey's Italian Café, which claims to have the best pizza in Miami. It is unknown if Jay and Beyonce also enjoyed a traditional Christmas turkey dinner to mark the end of their diet, which started on December 3. Explaining why they took up the challenge on his Life and Times blog, Jay wrote: "On December 3rd, one day before my 44th birthday I will embark on a 22 Days challenge to go completely vegan, or as I prefer to call it, plant-based!! "I don't know what happens after Christmas. A semi-vegan, a full plant-based diet? Or just a spiritual and physical challenge? We'll see... (sic)"